When it comes to Universal Basic Income, it’s not a new idea that has been floated by the government. It’s a concept that has brought about a lot of discussions and gained traction in the media and Congress. How it works is that a basic income or basic living stipend is provided to citizens as a cash payment using taxpayer money. This is unconditional and this means that there is no test when it is being implemented at a local or national level. There has been a debate on the impact of technology on employment. The concept of universal basic income poses as a support system against automation. The overwhelming response to the debate would be the impact on jobs and the way in which this income would help the millions that are out of work. Talking about the need for universal basic income, Karl Widerquist, associate professor said, “This was not just for the people at the bottom but also for the average worker.” As an advocate for UBI, he further added, “We should remove the judgment and paternalism that pervade the world’s existing social welfare systems.” This would then pave the way for governments to pay a basic income. Chris Hughes, Facebook Co-founder also argued that workers in the US could receive a basic income of $500 per month. This could be done if Congress removed President Donald Trump’s tax reform. He stated on national television that less than one-third of Americans have benefited from the 2017 Tax and Jobs Act. He also argued about how people cannot adapt because of the lack of bandwidth that is needed to do so. This would require a lot of time and resources to build on new skills and technical developments. Hughes also believes this is why the poorer people do not capitalize on educational opportunities when they are free. While the incomes of people have been plateaued, the cost of living, housing, education, and health care have increased drastically. He feels strongly that a basic income would re-balance the economy and create economic growth. Recently, US Senator Kamala Harris, D-California recently introduced Lift the Middle-Class Act. This would provide a monthly payment of $500 per month to low-income families. This would be paid for by removed the Trump tax cuts. Basic income payments are made in cash and paid to individuals and works as an obligatory fee. There were recent efforts by a privately funded 18-month pilot program which was launched to distribute basic income in Stockton, California. Similarly, Chicago’s Mayor Rahm Emanuel has created a task force to study basic income. So What is Basic Income? Basic Income is a fixed sum which is paid to the public from taxes. Based on the inability to tackle unemployment with conventional means in the last decade there is a major reason that this idea should be taken seriously. Here social and economic policy should not be separated. Basic income would help both poverty relief and improve employment. Does Basic Income Discourage Work? The Heritage Foundation found that this was a failed experiment when it was conducted in six states from 1968 to 1980. A negative income tax would guarantee a minimum income to a specific group of people. One goal is to determine if this assistance would increase employment and the quality of life metrics. This format involves reducing benefits as earnings increase. This outcome created the opposite of the intended effect. The Alaska Permanent Fund Dividend program has been in place for the last 25 years with money distributed from the oil reserve royalties earned in the state. The unconditional cash payments amount to $2,000 for every resident of Alaska. You could notice a difference in different sectors. For example, in sectors where goods and services produced could be traded outside Alaska, part-time employment was down. This appeared to be more than an offset by increases in part-time employment in the non-tradable sectors of the Alaskan economy. Time will tell us whether these findings are lessons from the Alaskan experiment. But it needs to be reviewed about the transferability of the findings from a very unique stat to other parts of the world. However, researchers express that more research is needed to analyze the impact of Universal Basic Income. Vijay Menon, a research assistant at Heritage Foundation, expressed that negative income tax reduced the desired hours of work by 9% by husbands, 20% for wives and 25% of percent for single female heads of families. Single men that were not heads of families that received the stipend worked less by 43%. Recipients who experienced unemployment during the experiment were unemployed for longer periods of time than unemployed non-participants. It was found that for every $1,000 in additional benefits recipients received, there was an average reduction of $660 in earned income. In other words, $3,000 worth of government benefits was needed to increase the net income by $1,000. The results suggest that receiving unconditional aid and not the phase-out of benefits causes reduced work effort. This means that creating policies that discourage work is not good for America. According to a 2016 General Social Survey, 70% of Americans love working even if they didn’t need the money. This would suggest that policies should be framed to reward work rather than replace it. 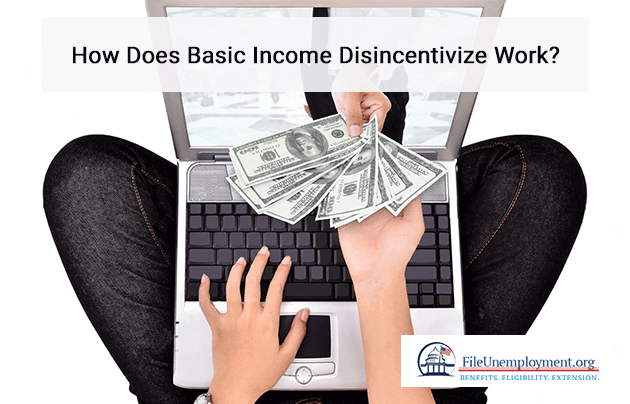 The Heritage Foundation suggests that an alternative to basic income is to expand the earned income tax credit. While the former would reduce work and increase dependency, the second option would bring in a sense of dignity and self-sufficiency. Y Combinator had run a UBI pilot in Oakland, California in 2016-17 and awarded participants with an unconditional monthly income of $2,000 each. These experiments were also done in Brazil, Finland, Italy, and the Netherlands. The idea behind an unconditional cash transfer is not something new. This was advocated by Thomas Paine in the 1700s and more recently in post-war Britain by Juliet Rhy-Williams. 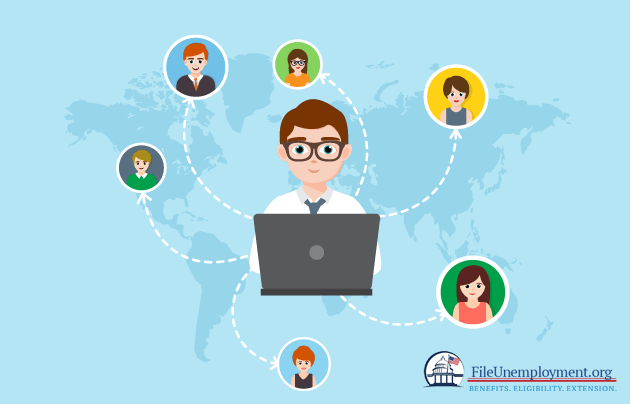 At FileUnemployment.org, we help in giving you the right information to help you get your due of benefits from the government. To realize this, you can check the Base Period Calculator, Benefits Calculator, and Eligibility Calculator. 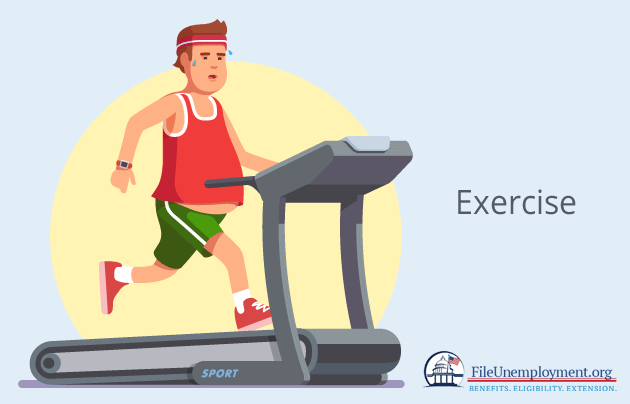 This will help you determine the base period to calculate benefits, the amount of benefits that you should get and finally whether you are eligible for benefits. What do you feel about Universal Basic Income? Do Americans need it? Let us know in the comment section below. Have you taken a career break to start a family of your own or due to temporary retirement? Otherwise, have you taken a break to enjoy yourself and travel the world? Based on this, women outweigh men that took a break due to family and personal reasons. But whatever was the motive behind you taking a career break, there is always a time when you would decide to jump back on the career ladder. This can be tough and unnerving to get back to work after a break. You might feel anxious about starting a new job or worry about your skills being a little rusty because a lot has changed since you have been away. Most people make the mistake of taking up the first job that they find. First and foremost, you should not be unsure about the job as the interviewer would sense uncertainty and would be unlikely to take you further in the hiring process. 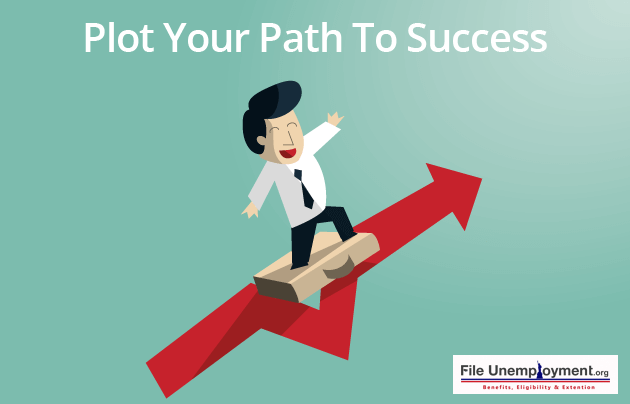 The second thing is that if you secure a job that is not suitable for you then you will find yourself moving frequently till the time you find the right one. It is important to take some time to assess your situation and then decide what to do next. You should open your mind and think of what was best for you before the career break and look for a good fit. Most candidates believe that a gap in their CV would ruin their career. But, if you can change this to something positive that can differentiate you from other candidates, it won’t be that bad. If you have not been working for a while then you should not hide it. 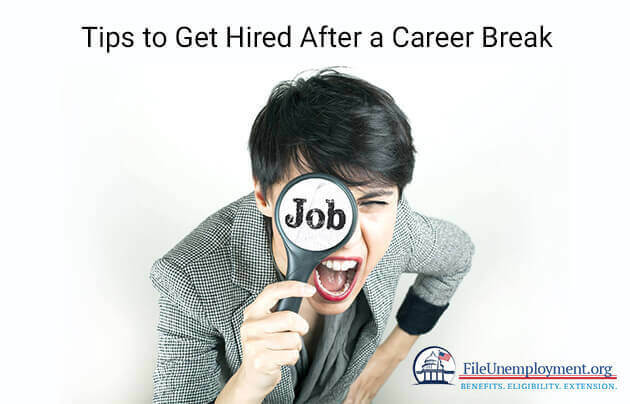 A break could provide you with a lot of benefits that make you more hireable and give you a chance to step back and re-evaluate your future career. You should add all the new skills that you have developed over your break and explain how it relates to the job that you are applying for. 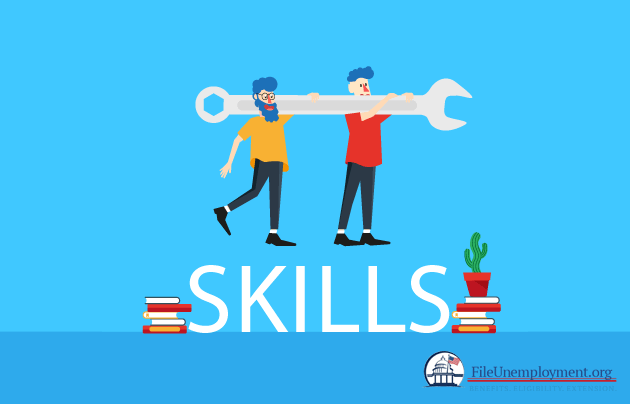 Working with resume gaps can be as simple as revamping your resume formats and refocusing your entire CV based on skills and interests. Some of the functional aspects of your resume include ensuring that your achievements and skills are emphasized on rather than work history. You can also remove the exact dates from your CV. 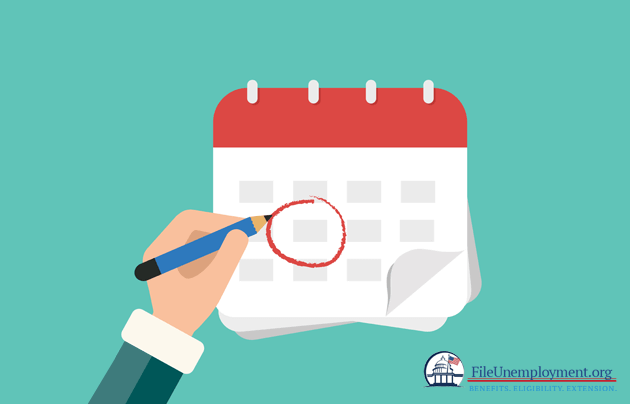 There is no need to put the exact dates if you are heading back to work in less than a year. You can add volunteer work and talk about skills that you have developed in this time. Just ensure that you do not lie because there will always be the risk of being caught sooner than later. You should connect with your existing connections when you are looking for your first job after a career break. Reach out to all of your previous colleagues, your friends, family, and clients and let them know that you are looking out for a job. You never know. They might have the perfect job for you. They could also act as a reference to support you with your job applications. Take time to prepare to answer questions about your career break. Interviewers are quite likely to ask you questions about the career gap and what you did with your time. You need to be honest and make it clear that you decided that the break was the right thing to do at the time. Also, you should tailor your answers to demonstrate how your break will benefit the role that you are applying for. You should think critically about some of the concerns that the interviewer might have. The company may wonder if you have what it takes to rejoin and you will need to demonstrate this by portraying your drive, focus, and passion. Apart from using job boards for jobs, research on the various career returner programs that are available to the public. There are certain companies like JP Morgan and Deloitte that encourage these programs. These programs are targeted at those men and women that have taken a career break. Regardless of whether you took a family break or a break for other reasons, this scheme would provide support and experience that will help you re-adjust to work. If you have joined a training course or completed a degree program then you should mention this in your CV. You need all the career advice you can get before you get back from a career break. This will go a long way in ensuring that you are certified with your job and stay updated with new techniques and roles that come your way. You should be able to suggest how this degree/diploma will help further your career and make it a bonus. This would help you explain to the recruiter that you utilized even your time off to better your career and this would add as skills that would make you better positioned for the role. Whether you have been away from 1 to 4 years, getting back into the hiring pool can be nerve-racking. The most important thing that you need to do is to ensure that you remain confident and have faith in your abilities. If you do not have confidence then you can seriously undervalue yourself and what you can offer the employer. If you are worried, then you should write down your skills and strengths on a slip of paper. You can refer to this in order to boost your energy. If you still happen to be unsure, then ask your family and friends about your strengths and weaknesses. Look at yourself in the mirror and tell yourself what your strengths are, and you can also practice appearing confident. If you feel that your skills are no longer up-to-date then you should join a refresher course. Do your research and check on social media channels. Take a look at what the competitors are doing and see if you can do a trends analysis and check on industry news. Though life is like a bitter-sweet symphony that is determined by success and failure, you should not let one misfortune hamper your confidence. Just like it’s important to stay calm, you should keep a focus. If your mind is focused, then you will overcome a difficult situation. Remember that a strong mind can move a mountain. All you have to do is focus. Simply start applying for jobs, look for ways to learn new skills and improve your profile. 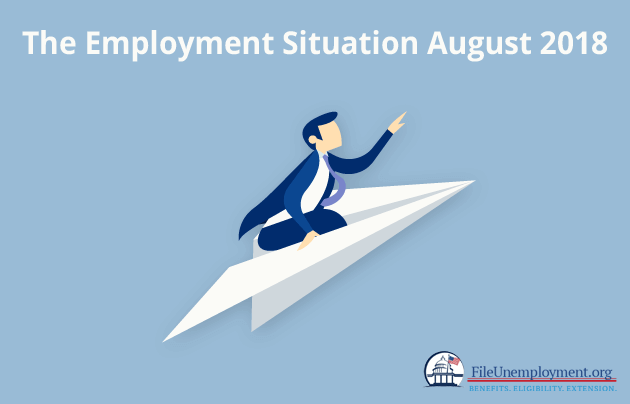 The Unemployment rate in the United States remains unchanged at 3.9% while the total nonfarm payroll employment increased by 201,000 in the month of August. The US Bureau of Labor Statistics in their monthly report state that job gains occurred in professional and business services, wholesale trade, health care, transportation and warehousing and mining industries. As stated above, the unemployment rate remained at 3.9% in August and the number of unemployed personnel remained at 6.2 million. In terms of the major worker groups, the unemployment rate for adult men was at 3.5%, and adult women tallied at 3.6% unemployed. Unemployed teenagers were accounted at 12.8%. The Whites accounted at 3.4%, Blacks at 6.3%, Asians at 3% and Hispanics at 4.7%. There was little to no change in the unemployment rates for each major worker groups. The number of long term unemployed people changed little in the month of August at 1.3 million and accounted for 21.5% of the total unemployed. Long term unemployed are people who have been jobless for 27 weeks or more. Over the year, the long term unemployed numbers have declined by 403,000. In other findings from the report, the labor force participation rate (62.7%) and the employment population ratio (60.3%) both declined by 0.2% in the month of August 2018. When it comes to people employed part time for economic reasons (also known as involuntary part time workers), at 4.4 million, changed little in the month of August. However, the number has been down by 830,000. It should be noted that these individuals preferred full-time employment but had to work part time because of reduced hours or the lack of full-time jobs. The month of August 2018 sees 1.4 million people marginally attached to the labor force, which is a slight difference from the previous year. These people were not in the labor force, were looking to seek employment and have been searching for jobs sometime in the past 12 months. The Professional and business services added in 53,000 jobs in the month of August. The professional and business services added in 519,000 over the past 12 months. August 2018 sees an employment rise in the healthcare industry by 33,000. Most of the jobs gains stem mostly from ambulatory health care services with 21,000 jobs. Job gains of about 8,000 were seen in hospitals. Over the year, the healthcare industry has added in 301,000 jobs. Employment in the wholesale trade industry increased by 22,000 in the month of August and 99,000 over the past 12 months. From the industry, the durable goods wholesalers added 14,000 jobs over the month. This accounted for about two-thirds of the over the year job gain in the wholesale trade industry. The transportation and warehousing industry rose by 20,000 jobs in the month of August. The industry has risen by 173,000 jobs over the past year. Within the industry, couriers and messengers have been responsible for adding in around 4,000 jobs in the month of August. The mining industry had a rise in employment by 6,000 jobs in the month of August and showed little change from its progress in July. Since a recent dip in October 2016, the mining industry has added in 104,000 jobs. Most of the jobs in entire support of mining activities. The construction industry continues to have an uptick of 23,000 jobs in the month of August. Over the year, the construction industry has increased its jobs by 297,000 over the year. The manufacturing industry changed slightly negatively in the month of August, with a loss of 3,000 jobs. Over the past 12 months, employment in the industry was up by 254,000. More than 3/4th of the gains were from the durable goods segment in the industry. In terms of employment in other major industries, there was little to no change in employment. These major industries include retail trade, information, financial activities, leisure and hospitality and government. United States President Donald Trump’s quest for job creation in the United States has had many twists and turns. 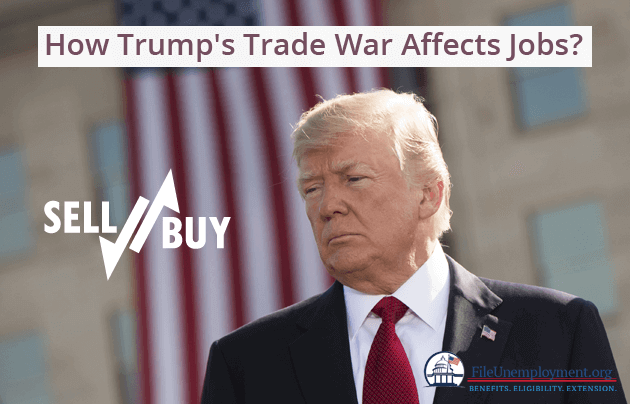 President Trump believes that the solution to creating more jobs in the United States is through levying heavy trade tariffs, targeting mostly Chinese made products. In 2018 alone, Trumps has levied tariffs on 10,000+ products from China, Canada and European Union. In reciprocation these countries have levied their own trade tariffs on American goods. While this may help certain industries to create more jobs within the country, there is always the scenario of cause and effect. What President Trump has failed to realise, is that levying high tariffs on foreign goods does not affect traders but more importantly set the burden onto the American consumers. In order for American consumers to obtain foreign goods, they will have to pay the high tariffs of trade instead of the supplier. The main industry that is affected by trump’s tariffs is the agriculture industry. 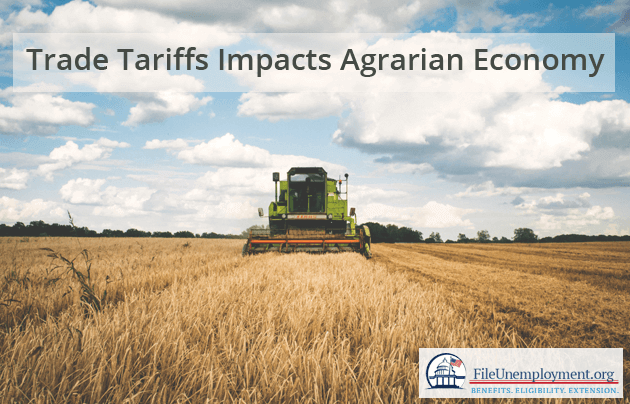 This is because all the profits that farmers gain from trade become nullified because of the high tariffs, and this will result in severe losses. While setting tariffs on agriculture would be a smart thing to do because the industry is solely export based. It leads the country to be vulnerable from trade tariffs being set by foreign countries. China is the second largest buyer of agricultural exports from agricultural exports. This means that farmers are particularly affected. China retaliated by levying 25% duties on US agricultural products, which estimates to around $45 Billion. US producers of soybean, corn, poultry and beef were affected the most. As a result, farmers and agricultural workers have a hard time making a living in a sector that has always lagged behind historically in the national average of all industries. Not to mention, poorer areas of the United States will be afflicted much more than others. States like Louisiana, Alabama and South Carolina have per capita incomes much lesser than the national average. These households face the greatest threat in the export dependant agricultural companies, because of the inability to do business with one of their most important trade partners. While it is significant that industries like the steel and aluminium stand to benefit from trade tariffs (possibility of gaining 26,000+ jobs), every industry is connected to each other. The high tariffs of steel and aluminum can affect the manufacturing of other products that use steel and aluminium. The dependency of a certain product and increase in trade tariffs can result in the loss of 400,000 jobs in other industries. Not only that, automobile companies like Ford or Mercedes Benz/ BMW will also be hit majorly with the trade tariffs being levied. While it may seem like a good idea to prevent the influx of foreign vehicles, these automobile companies have their largest factories situated right in the United States. Higher tariffs on raw materials like Steel and Aluminium leads to higher production costs for the automobile industry. This in turn would lead to more reliance on machines and higher number of layoffs of human resource. This would lead countless number of jobs being lost and a rising unemployment rate. Just this year, the largest nail maker in the US, Mid-Continent Nail had to let go of 60 workers after their sales plunged by 70% after Trump’s implementation of a 25% tariff on steel from Canada and Mexico. Similarly, the Poplar Bluff Company had to raise its prices which led to defection by customers. The company worries of more layoffs and the termination of the entire 500 member workforce by Labor Day. World renowned motorcycle company Harley-Davidson aims to shift a portion of its motorcycle manufacturing to outside the US in order to survive the trade war. The Milwaukee based motorcycle company stated in public filing that the move was paramount in preserving its second biggest sales market after the European marked imposed new tariffs. The company intends to close its plant in Kansas, Missouri, and add jobs to its Pennsylvania facility. Meanwhile, Tariffs can lead to the cause of 4000 workers becoming unemployed at the Volvo plant in South Carolina. Volvo Cars Chief Executive Hakan Samuellsson told Reuters that trade barriers and restrictions were preventing them from creating as many jobs as they hoped to plan. Now with the trade war deemed to escalate, it would mean the potential decrease in jobs. 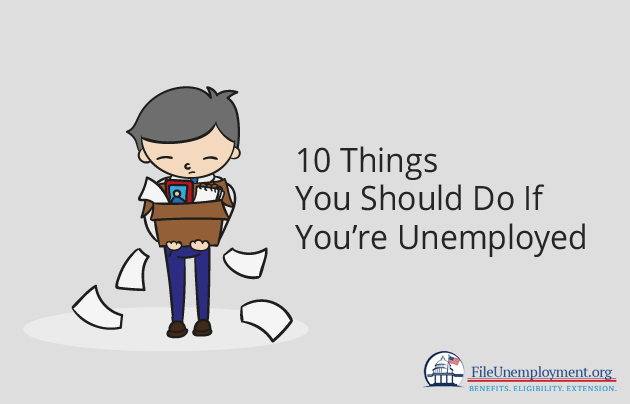 If you are currently looking for employment, it is advisable to check www.fileunemployment.org to see the unemployment benefits you could avail from the city/state you reside in. Also check out the various articles that provide vital information as to getting employed in the United States. There’s a lot of upheavals taking place in the organization and a round of layoffs have been happening. 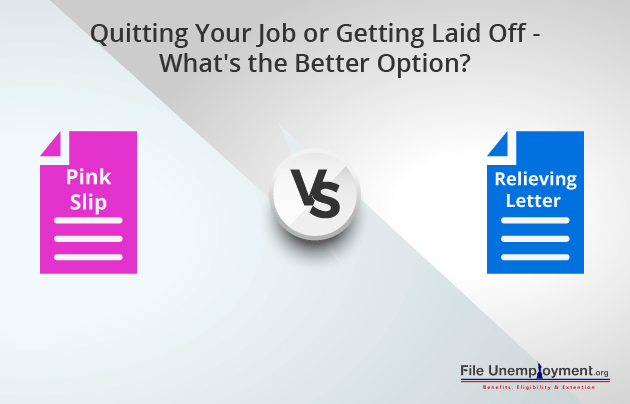 Decide if you need to quit your job or if you should leave your job. Your workload is shrinking and other people’s positions are being slashed. You feel you’re being excluded from meetings and that you might just be the next in line to get the pink slip. In some situations, quitting your job willingly can be beneficial as it helps you approach an interview with more confidence. Candidates who get laid off tend to lack confidence when they attend interviews, even though the reason due to which they were let go is usually not their fault. Interviewers have the habit of asking the interviewing candidate their reason for leaving the previous job. This question is almost always asked regardless of the position to be filled. When a candidate leaves a job voluntarily as against being laid off, it becomes easier to take on this question and answer it. Candidates find it easier to say that they took a conscious decision to quit their job and move on rather than having to admit they were let go of even if it was without a cause. Speaking along these lines, quitting your job voluntarily makes it a smoother emotional transition between jobs. The fact that one gets to make their own decisions and has not been handed over their fate, makes them feel like they’re in control of the situation. This helps the person feel empowered during their job hunt instead of feeling the desperation that could be accompanied by losing a job. By quitting your job, you could be saving your current company from the difficult task of firing you and also save on unemployment benefits. You could also probably negotiate a notice period that gives you sufficient time to look out for other opportunities. Maybe you can even ask for a viable recommendation or two. Mention it to your employer that you will continue to maintain a positive attitude with the company until your last day. From what we have weighed so far, quitting your job seems to have quite a few benefits when compared to anxiously awaiting a layoff. Quitting a job, however, makes you miss out on certain benefits that come with being laid off. 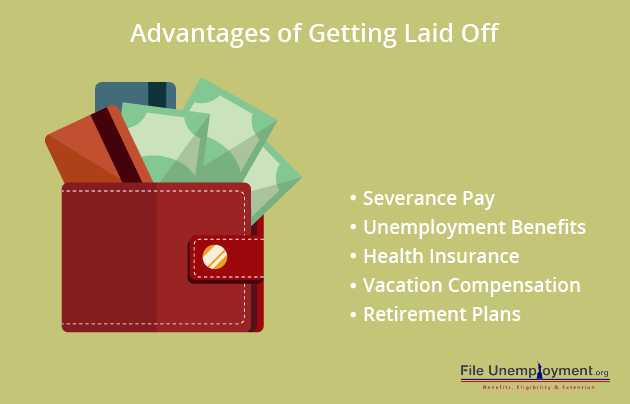 What are the benefits you gain when you are laid off? Possible deferred compensation like retirement plans, stock options, pension. Your unemployment checks will not completely replace your paychecks. Nonetheless, if you’re a middle or low earner it could help you pay your bills until you find alternate employment. In most states, one can draw unemployment benefits up to 26 weeks. In Massachusetts, unemployment benefits could amount to as much as $1,103 and extend up to 30 weeks. Check the maximum weekly benefits in your state. So if finances are a concern to you, it might just pay off to wait until you get laid off. The financial support that accompanies a layoff relieves you from the burden of paying bills and staying afloat. It also gives you time to look for the right job. If you are stressed out about money, it’s likely that you will jump towards the first offer that comes your way. A little financial support to help you sustain, you can take a little time to search for jobs and also approach the situation from a more level-headed outlook. Making a decision about whether waiting to get laid off or quit before the situation arises can be a tough decision. Here are some reasons to stay on in the job and also situations in which you should probably quit before you are handed over the pink slip. Employees tend to get a little too comfortable in their positions and build emotional bonds with their companies. This is especially common in situations where the employee enjoys their job. Such employees tend to stick on to the company even when the company is sinking instead of looking out for other jobs. Another reason for employees not to begin their job search is laziness. The second situation in which you should consider leaving is if the job is affecting your mental health in a negative way. If the stress and anxiety of getting laid off are affecting your work life, your everyday activity or your confidence, quitting could help you. You could put down your papers and try to negotiate for a sufficient notice period and start your job search at the same time. 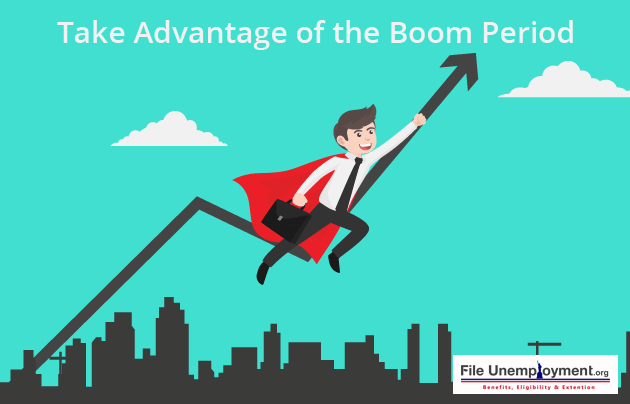 The one disadvantage that you need to be prepared for though is that they may ask you to leave immediately without serving a notice period. The feeling of not being in control of the situation can always be stressful, but preparation can make things easier. Update your resume and start applying. The best case scenario would be that you’ll get a job offer soon after you put down your papers. In the worst case scenario, you could be let go. But hey, you’ll be prepared for it as you would have already updated your resume and begun the job search. Then there’s always the severance pay and unemployment benefits to look forward to. If you haven’t attended an interview in a long, here are some interview tips that you could use to brush up on your interview skills. Browse through our site and view the unemployment benefits for different states. If you have any questions regarding the unemployment situation, you can visit our Community Forums to get quick answers to your queries. Communicate with experts in the field and interact with people in similar situations and get answers to all your queries. Since the 1960s, the federal laws have banned states from drug testing jobless people that apply for benefits. But after the recent legislation, Republicans now want all states to institute tests for benefits. Currently, $1.6 million has been spent on drug testing jobless people that apply for unemployment benefits. Also, over $2 million was spent in the last two years alone. This money could have been spent to expand welfare benefits or drug treatment programs. You should know that employers are not legally required to test you for drugs. This is either at the time when you apply for a job or when you are working at the company. There are restrictions when or why employers can test you or if your boss has a reasonable suspicion. This could be if they had a reasonable suspicion if there was a workplace incident. Also, if there were reliable witnesses of drug use or if you have agreed to be tested. If you fail a drug test then the state decides whether you qualify for unemployment benefits. You would have to forgo your employment benefits if you do not pass a simple state-sponsored drug test. In the State of Pennsylvania, if you fail or refuse a drug test then you will lose your benefits. State laws require you to get another job before you reapply. Wages are a minimum of six times greater than the weekly benefits. Unlike other states, you can regain benefits after a legally mandated waiting period. In 2012, Congress passed a bill that enables states to drug-test any fired unemployment applicant. Mississippi passed a law to cut off benefits to those that fail drug tests. If you are a resident of Connecticut, then your employer can test you if the safety of the job is important. For instance, if you are a forklift operator and if there is a reasonable suspicion that you are using drugs then there would be a test, a follow-up test and then you would be terminated. But, if you have a case then you can file a case in court or file a complaint with the state labor department. The Trump Administration has been working hard to bring back and broaden the rule that was struck down last year in Congress which required drug testing for unemployment benefits. With the Congressional Review Act (CRA), Republicans had repealed the Obama rule that limited the ability of states to drug test people that applied for unemployment pay. While the Republicans felt that the 2016 rule was narrow and not far-sighted because it did not allow states to drug test people whose occupations needed it. This category referred to those employees that worked as airplane pilots, flight crews and air traffic controllers for commercial and public transit drivers and especially those that required carrying a firearm on their person. While the Labor Department signaled its plans to issue broader rules, it will have to redefine the type of occupations that require a drug test. This would mean that there are a set of jobs that would have to ensure that one of the conditions of the requisites of the job involves drug testing. The Labor Department warned that there would be a regulatory agenda where a semiannual roadmap for an administration’s rulemaking plans. After the repeal of 2016, states no longer have the authority to drug test unemployment compensation applicants. Earlier, they could get suitable work based availability in occupations that conduct regular drug tests for unlawful use of controlled substances. Regarding the issue of notice of proposed rulemaking, the Labour Department said, “It will identify the occupations that regularly conduct drug testing.” There are several liberal advocates are not happy with the prospect of a new rule that provides the administration’s move which could set an important precedent. Here this allows you to issue regulations that provide action that is repealed under the CRA. Explaining this, George Wentworth, Senior Counsel of the National Employment Law Project explained that the 2016 rule focused on jobs that conduct random drug screenings and not those that test as a condition of pre-employment. Currently, there are 13 states across the United States that have instituted specific regimes. So far, these experiences have proven expensive to administer year after year. Despite this, the number of positive test results is extremely low. In 2016, out of nearly 250,000 applicants, there were only 369 that tested positive in four states and similarly zero tested positive for illegal drug use. States that had positive results ranged from a low of 0.07 percent of all applicants to a high of 2.14 percent and rates far below the nearly 10 percent drug use rate which would fall under the general population. All in all only three states have come forward and implemented drug tests across their jurisdictions. 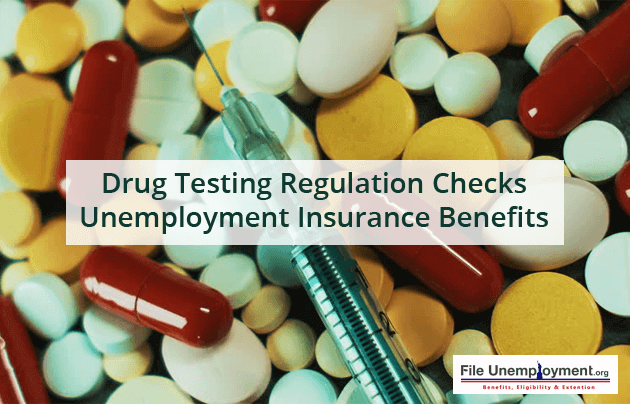 These states include Texas, Mississippi, and Wisconsin that have passed laws that allow employers and the state to allow drug testing for their unemployment insurance programs. What are Drug Testing Policies? There are several policies that start out by expressing the positive terms that are needed for safety at the workplace and adherence to the job and work quality. This includes improving safety and productivity and explaining violations, employee coverage, disciplinary measures, and rehabilitation. Based on drug and alcohol policies, you should allow employees to have a written copy of these policies. Employers usually make signing these policies as a condition to be hired. As part of the overall policy manual, all employees should sign separate forms for search and testing policies. What if you refuse to sign the policy? You cannot be fired if you refuse to sign an acknowledgment of the policy. But this should not be done until and unless you are warned. This should be done in writing or witnessed by others that refuse to sign. An alternative approach that is used is by holding a mandatory staff meeting and employees are forced to sign an attendance register or face a disciplinary action for absence. Though they might distribute the new drug-testing policy, discuss and distribute the policy in front of witnesses. You can choose to refuse to sign on the acknowledgment form. The only issue is that your employer can use this to their advantage and ensure that you are aware of the policy. How is discipline or rehabilitation conducted? Most companies notify employees that testing positive for drugs or alcohol will result in immediate termination. Some companies allow a chance for rehabilitation and a return to work under probationary conditions. But this type of second chance is not required under Texas or federal law. A worker is allowed to return to work after a positive test result. This is generally under a “last chance” agreement. This provides for monthly random tests, a year’s probation, and immediate termination for any subsequent positive test result. 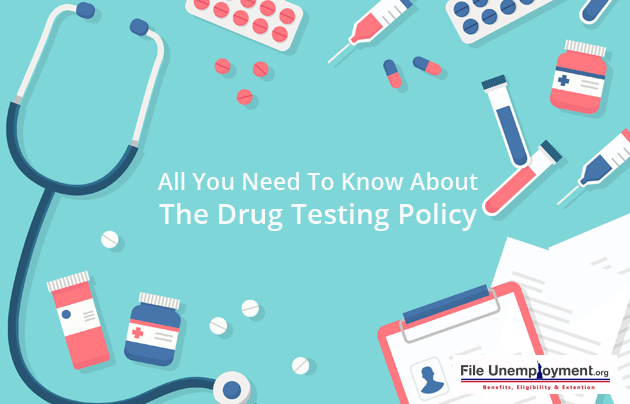 While some companies have incorporated these searches in their policies and part of the drug testing policies, there are several provisions that you should review and you should understand the sample drug-testing policy. This is based on the type of search and how the test is administered. What are the Pre-employment Drug Testing? Pre-employment drug testing is done by a few employers for some applicants. This is not regarded by the ADA as a medical examination. This can be done at any point of the selection process and due to cost issues. Companies would restrict testing to final candidates only. On the issue of who pays for the test, most companies assume the burden. But, there is no specific law in Texas or Federal Law. A Pre-employment drug test would discourage minority applicants. These are works that effectively result in less than minimum wages for an employee’s first paycheck. It would be best to let doubtful cases be reviewed by employment law counsel prior to such testing. These tests would have to be kept confidential and all medical records should be maintained under the ADA. If you are filing your unemployment claims then you should know how to apply in your respective state by selecting your state from the Benefits by State option. 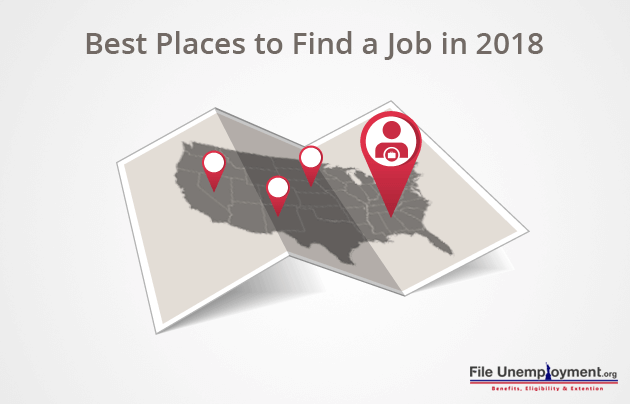 Once you select your state, you can determine how to connect with Unemployment Office. You will then have to learn how to submit your claim and understand your eligibility and what you stand to gain with the Benefits Calculator. You can also connect with the File Unemployment Community and get your questions answered in this forum. 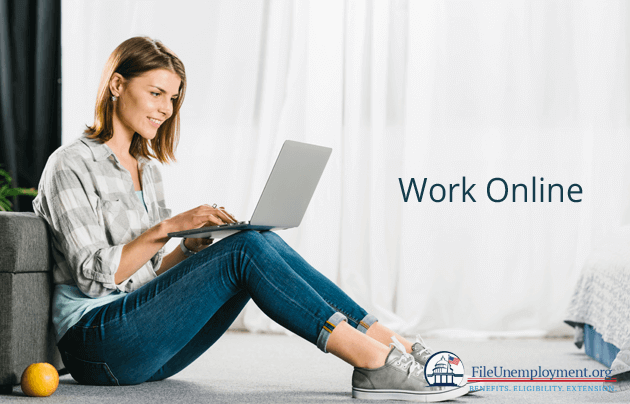 Make the most of your unemployment claims and connect with your Unemployment to help you find your next job! The best way to understand yourself personally and professionally is if you review your work and contemplate your job or determine if you need a career change. This is a time to reflect on your past experience and to think about what direction and goals you should work on and determine where you would want to grow in the future. There are several jobs in the market and plenty of opportunities. You need to shift gears and know that you are not alone in this aspect. Most people change their job 10 to 15 times at most in their work life and this means that you do not have to stay on a particular career path that is not what you favor and right for you. Today, there are several jobs lost to Artificial Intelligence. Many reasons suggest that this is practical and that you should be thinking about a career path that is straightforward and gives you clarity. In this manner, you should look forward to working hard and enjoying a rewarding career. It’s important to make a list of all your skills and review your work in terms of volunteering, extracurricular and academic and fill these elements with things that you did in your past and what you enjoy and adds a spark of life to your otherwise mundane day. You should make an inventory of skills that you enjoy working on and list different types of jobs and skills. This way you can develop a preferred set of skills where you can understand what works in your favor in terms of activities and skills that you can utilize in your career. Read through careers that interest you and review work that you find stimulating by looking through magazines, books, and websites. Make sure that you identify two new careers to research and review every week and keep a diary and makes notes of each type of job. Look to measure skills in your career and list them based on preference. In this manner, you can field those that have a genuine appeal and compile a list of questions that you should research on and appraise suitably for the career that you opt for. Stay curious and learn what your friends work on by looking at their social network information and reviewing online work and publications. Understand the role of teammates, suppliers, clients and whether you are a good fit. Know what workers expect from employers and what you should commit to. 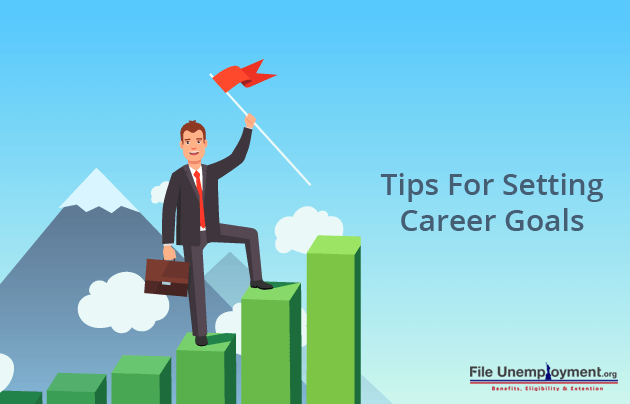 You should spend time on interviewing, asking them about work and brainstorming with them on career options and considering what they do in their particular sector. You should take time to connect with your contacts for possible introductions to people they know and the fields that interest you and how they can get a meeting set up on your behalf. Learn how to set up a job shadowing approach where the opportunities with contacts in the fields of interest can let you learn about a certain job role. During your vacation time, you can get an exposure to the field and learn about things that you would have to face in a few years and what you would do if you were in his shoes. You should find places to look out for volunteering positions in your field. This way, you can help consider social work and help out at a shelter. In time, you can determine if you should stay in school, work out of the home, be unemployed or consider a part-time or full-time job after your internship in that specific field. You can work on interesting options to further your education. This can be done by boosting your career skills and reviewing offerings of colleges or courses by local community colleges. You can enroll in an adult education center to understand your field of interest. Also, connect and schedule meetings with different departments to learn about how programs work. You can complete your degree, mid-way in your degree and make this option viable with the right support from your family and loved ones. Visit your alma mater and request for help or get assistance with the career counselor. There are several people that focus on their studies or soul searching but you can actively engage with career resources and working people. When it comes to defining goals, it can be broadly classified into short and long-term goals. These short-term goals can be accomplished anywhere within six months to three years and long-term goals take three to five years. There are times that you can reach a short-term goal in less than three months and long terms goals could take more time. But in order to accomplish this long-term goal, you should complete a series of short-term goals. For instance, it would mean that you should first graduate college then complete an internship and then work on certain certificates. Those could be long-term goals. While short-term goals can be reached based on how you can start working on them like excelling at an exam and completing applications. But, you should know that you can further break down short-term goals further. Ensure that your goals should be definite and specific in order to be successful. You need to define success and what it means to you and what it takes to reach those goals. Whenever these goals are set, you should always include a time frame needed in achieving these set goals. Avoid anything that stands in the way of your goals and it should be something that you want. Make all long-term goals compatible with your skills and abilities. This means that you should be able to perform and work hard towards achieving it and it should not be superficial. Is your goal reachable within your time frame? You should ascertain not to set yourself up to fail. This means that you should have one big goal and then you should break it down into several smaller short-term goals. Look to better what you do with baby steps instead of going for a giant leap. You should ensure that you work hard for your goals by honoring it with certain skills. This will take hard work and time and you should do certain actions in order to achieve the desired results. There are times when you will encounter barriers and this can threaten your progress. You should not give up but instead, you should modify your goals. You should continue working and studying, if needed, to make sure that you reach your desired goal. But, in case you find that it is unimportant then you should pursue other goals and channelize your energy on other objectives. 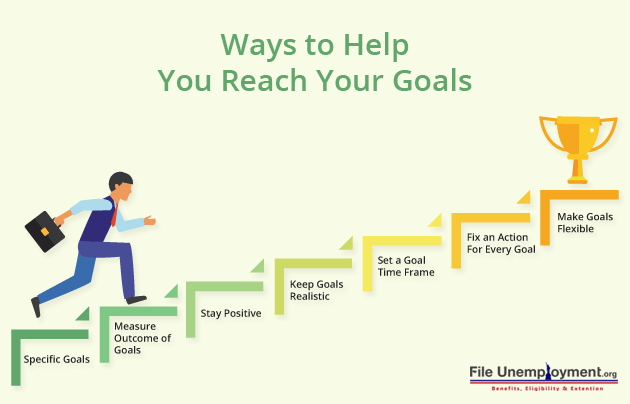 These tips are sure to help you reach your professional goals and help you make ripples in everything that you work towards. This can help you shape your work and determine if you can set particular goals based on time, flexibility and the type of action required to boost your skills. These activities and benchmark criteria should help you deliver your career goals. You would have to change your career goals based on the time and other aspects. It’s a great time to be in the job market. America has the lowest unemployment rate at 4.1 percent which is the lowest its been in 17 years. There is a 4 percent increase in hires since the previous graduating class. For job seekers, there is a good chance of feeling optimistic. Job creation was a whole 6 percent lower in 2017 than the previous year. There is a likelihood that this would improve in the current fiscal year. Currently, the Bureau of Labor Statistics suggests that unemployment will stabilize at 4.1 percent and the National Association of Colleges and Employers looks to hire more than earlier years. WalletHub did a study on 182 cities that included 150 highly populated cities across the US. These states were determined based on two key dimensions such as Job Market and Socio-economics. 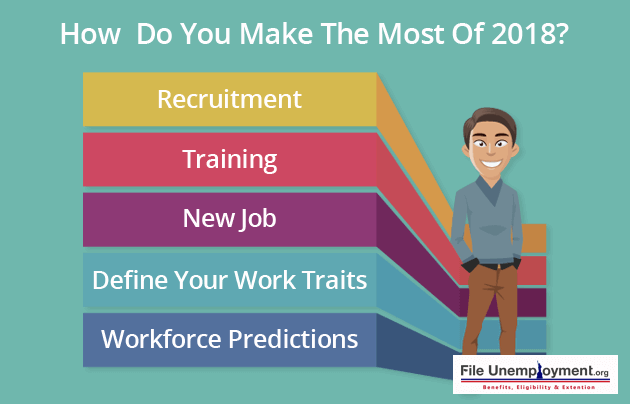 There is a higher weight for the Job Market category and these include factors that influence the job seeker’s decision in terms of relocation for employment purposes. To determine the top cities, a metric was based on a 100-point scale which scored based on which were the most favorable conditions for job seekers from all cities. The cities were then weighed based on average across all metrics to figure out the final score and in order to help rank the cities. US cities are based on 26 metrics which includes employment growth, median salary, job opportunities, unemployment rate, commute time, average work rate, housing cost and access to internships. These metrics fall into two key dimensions which include job market and socioeconomic environment. With a greater weight based on different assigned metrics which are under the job market category. From the table, you can find that Chandler in Arizona tops the list and this is based on its high scores in the market and the favorable socioeconomic conditions for its workers. In Chandler the largest employers are Intel. There are four other cities in the top 10 which includes Scottsdale, Peoria, and Gilbert. A major reason for this is the booming healthcare industry and the rise in the elderly population in the region. The highest ranking city which is outside Arizona is San Francisco. Even though it is 43rd for its expensive socioeconomic environment, the city by the bay area has a thriving job market that helped boost it to the top of the list. You will also notice that some of the major towns are in Florida, Franklin, Tennessee, and Texas while the others are in Central Florida like Tampa and Orlando. Apart from being a vacation destination, Orlando has been attracting more technology-based businesses and has several job roles in aerospace, aviation, and the defense industry. There are also modeling and simulation, interactive entertainment, microelectronics and digital media. Also, you can find healthcare, life sciences, and medical care technologies. Despite the hurricanes that hit the coastline in 2017, it worked as a major factor that would affect Florida’s boomtown in the coming years. This is the huge influx of people from Puerto Rico based on the impact of the hurricane that destroyed much of the region. There is also a slow recovery in this region. More people coming into the market could push the prices of homes up and this will raise the unemployment rate higher to a certain degree. There are more than 250,000 people that arrived in Florida from Puerto Rico between October and December of 2017. Avail of your unemployment if you are willing to work and haven’t found work or between jobs. But, before you do so, you should check to determine your unemployment eligibility, what are kinds of benefits you could receive with the benefits calculator and calculate the base period too. Stay up to date with your skills and constantly work towards finding employment. Most of all, there’s no better time than now to be applying for work in the job market!